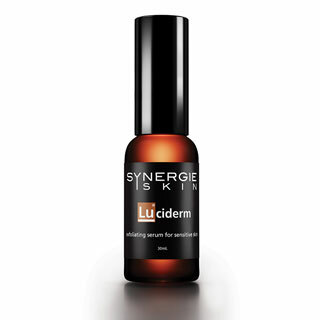 Luciderm is a revolutionary acid free chemical exfoliant ideal for even the most sensitive skin. Enhancing the skin’s natural enzyme activity to exfoliate and eliminate rough, flaking skin, it is a gentle and effective product for revealing smoother and brighter skin. This product is 100% acid free and is ideal for everyday use for even the most sensitive skin. For the first time, rosacea and eczema sufferers can use an exfoliant without any side effects. Key Ingredients: Dermal Rx® SRC – helps to eliminate old, flaky skin, efficiently stimulating cell turnover and cell renewal. Unlike AHA’s, its gentle mechanism of action and safety profile make this ingredient ideal as an exfoliant and anti-ageing product for even the most sensitive skin. Hydropom™ – a new antioxidant derived from hydrolyzed tomato skin. It is more powerful than green tea in its ability to neutralize free radical damage, which leads to ageing, and cell destruction. Application: Apply once a day, AM or PM, prior to moisturising. 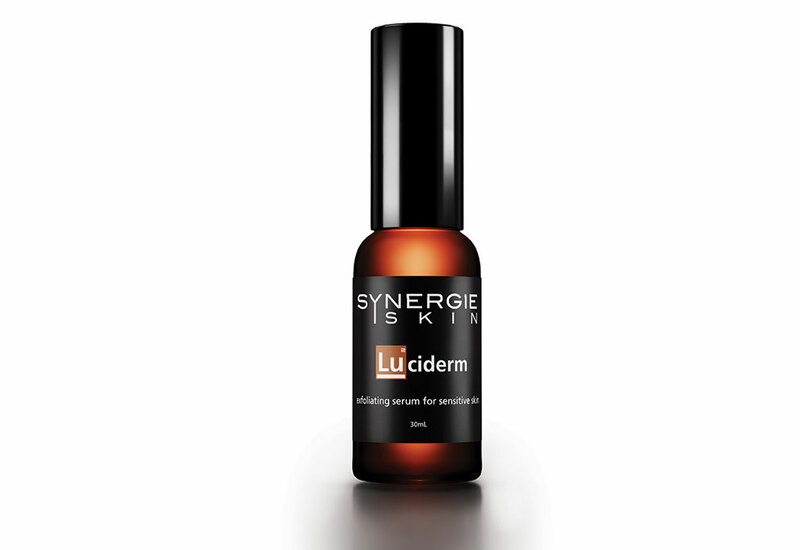 As it is 100% acid free, the Luciderm is compatible with Ultimate A serum and Vitamin B serum. We stock a complete range of Synergie Skin cosmeceutical skin are and mineral makeup products in our clinic and restrict online purchases. If you are an existing client and would like to access these products, please contact us via phone or email. If you are interested in finding out more about Synergie Skin products and their suitability for your skin, book a skin consultation with us today.